Evostik Premier League – News, Statistics, Fixtures, Tables etc. 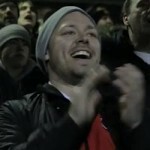 FC United of Manchester’s channel on youtube – lots of documentaries and match videos. Football Flight – Plans and organises your individual football trip to FC, Manchester and all over Great Britain. FC St. Pauli – The German “Kult”-club has a strong base in social activism and puts great emphasis on the social responsibilities a football club has to their fans and their local community. Well done on the new blog ! Thank you very much! We will of course add the link.